With grateful thanks to Bonhams auctioneers who sold this car at their Goodwood members' Meeting on 19 March 2017. The wonderful reputation of the 'Invincible Talbots' is widely regarded as having been earned by the North Kensington-based marque through the late-1920s and early 1930s. However, the Roesch-era Talbots actually built upon the success, and abounding prestige, of an earlier generation of British-built Talbot cars, as exemplified by the mouth-watering Edwardian-era 15hp "works hill-climber". British Talbot cars were built in London, by Clement-Talbot Limited. The company had been formed in 1902, initially to import French-made Clement cars until a new factory was ready for UK manufacture. 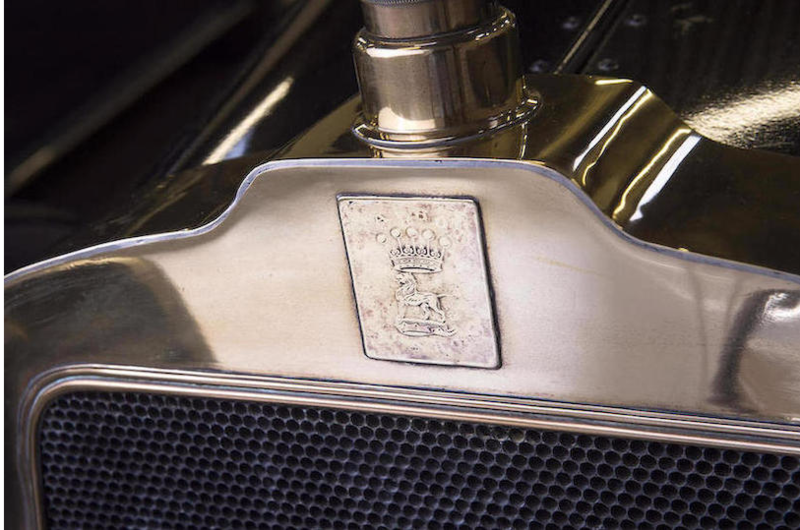 The Talbot name was derived from the family of the Earl of Shrewsbury and Talbot, company director and leading shareholder, who had been importing Clement cars since 1900. A dedicated new factory was built in Barlby Road, North Kensington, and by the end of 1904 it had begun assembly of cars from French-made components. 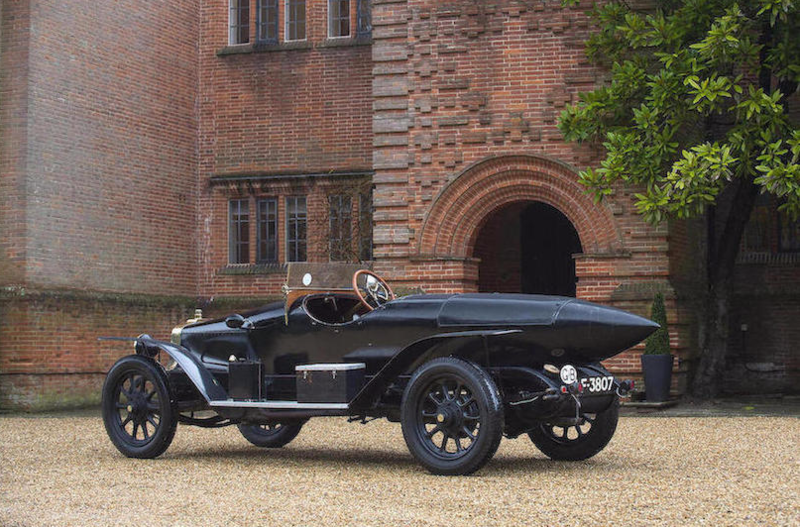 The first British-designed Talbot emerged in 1906, and the marque's sporting activities were boosted in 1911 with the appointment of a new designer, George W.A. Brown, ex-Argyll, Humber and Austin, where he had been responsible for the successful "Pearly" racers. making him the fastest man in the world at the time, and attracting huge press coverage. The British hill-climb and sprint scene in those Edwardian days was considered by those who took part in it to be equal to – if not more important than – the racing season at Brooklands. All the best-known amateur and works drivers and all the most celebrated manufacturers participated. These events gained significance because they were the only form of speed competition possible on the public roads of the United Kingdom and were accessible to many more people than the regular Brooklands attendees - generating good local publicity which boosted regional agents' sales. In their heyday short-distance sprints and hill-climbs proliferated, generally run by provincial clubs. Often an enthusiastic squire would simply tell the local police constable to turn a blind eye and find something else to do on the chosen date. Clement Talbot took advantage of this stage upon which to strut, building a team of works cars for all classes to dominate the results. Historian T.R. Nicholson, in 'Sprint', his seminal record of speed hill-climbs and speed trials in Britain, 1899-1925, describes how "To the contemporary, 1913 was the year of broken records and remarkable times." That sprint season really began that May with the Herts Automobile Club 'climb at Aston Clinton in Buckinghamshire, backed by one of the country's wealthiest landowners, Alfred de Rothschild and ending in tea for 800 at his nearby home. Talbot, works driver George Day took first place on time and third place "on Formula" in his works 15hp. Just two weeks later, Shelsley Walsh hill-climb saw the RAC offer competitors a waiver of a previous rule requiring cars to ascend fully laden. Remaining true to the old regulation, George Day attacked the hill with three passengers aboard his 15hp Talbot, "...achieving a greater laden weight than any car competing", earning a huge advantage in the Formula competition, which he won by a huge margin. At Caerphilly in South Wales, Day drove the Talbot works' 12hp and 15hp cars to yet more class victories. 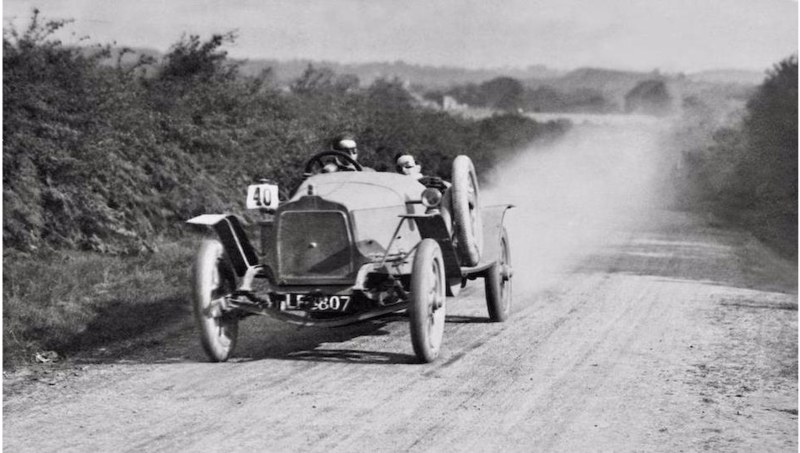 The next day at Porthcawl he was again unbeatable in the smaller-capacity classes while Stokes' Brooklands Talbot demolished Vauxhall hopes overall. In September 1913 at Greenhow Hill, Pateley Bridge, Clement Talbot fielded a team of five works cars. Again results were outstanding: "Five Talbots were entered in the open class (two of 12hp, one of 15hp and two of 25hp) and they succeeded in scoring first and second places on Formula, making the fastest ascent of the day and secured first and third places on time". The story of the pre-Great War Talbot is told in a letter from the much respected W.E. 'Bill' Barrott, then authorised registrar of the Sunbeam Talbot Darracq Register to Shirley M. Clarke late wife of Edwardian Talbot stalwart and former VSCC President Barry Clarke of Hampshire, England, dated April 8, 1994. I am able to confirm...that your Talbot 15hp chassis No 5473 was manufactured at the Barlby Road, Kensington, London works of Messrs. Clement Talbot Ltd in February 1913 and was registered by them, in London, with the mark LF3807...". 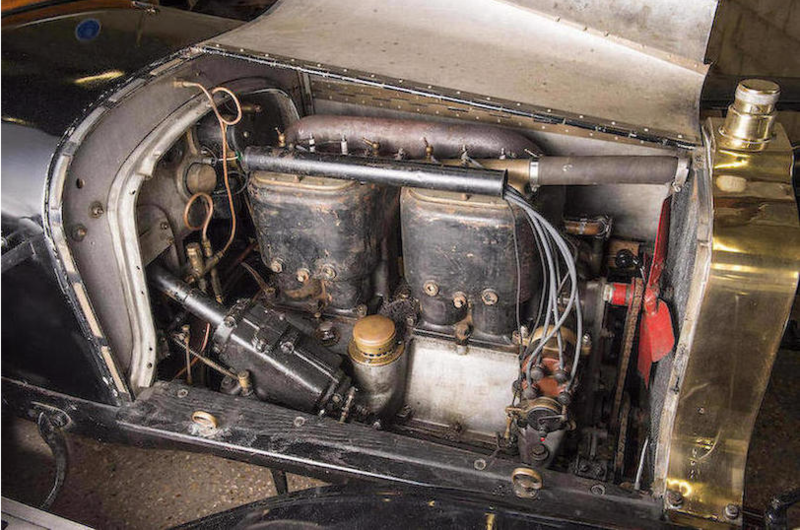 He continued: "I am further able to confirm that this particular car was retained by the factory until 1919 and was used for competition, particularly hill climbs, during that period, and that its exploits are well documented in the motoring magazines of that period. The car was sold to Sir Malcolm Campbell, who resold it some three years later to Australia, from where it returned to the UK in 1993...". If one researches the hill-climb competition reports of the period one finds almost universal admiration for the achievements of the 'works' Talbot entries. 'The Motor' magazine on yet another Talbot triumph: "The Talbots, especially those belonging to the Earl of Shrewsbury" – i.e. those entered by him for the works– "...covered themselves in glory...". By August 1914 they were in effect the finest and most successful British competition team of the Edwardian era. 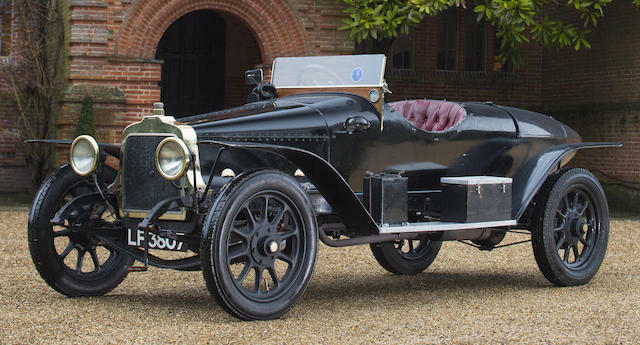 Competition motoring ceased when the Great War erupted in August 1914, but Clement Talbot retained its works cars until 1919 when they were offered for sale. The ever entrepreneurial Captain Malcolm Campbell became a Talbot agent and bought the cars, including the 15hp sprint model offered here. He would of course go on to become the Fastest Man on Earth, holder of multiple Land (and Water) Speed Records, and he would be Knighted for his efforts, as Sir Malcolm Campbell. He had been born into an affluent family in 1885 and had progressed from racing bicycles to motor-cycle trials, and in 1910, had begun competing on four wheels at Brooklands. In 1912 he adopted the name 'Bluebird' for his cars and after wartime service with the Royal Flying Corps he returned to Brooklands where - during the following six years - he campaigned Talbots of 2.4, 3.0, 3.6 and 4.5-litres capacity (the last with an ex-Percy Lambert engine). He also drove Italas, a Star, an Austro-Daimler, 5-litre Sunbeam, a Fiat, Ballot and Chrysler cars – with considerable success. One should never doubt Campbell's enthusiasm for the sport, and he was plainly never afraid of investing in machinery. Campbell would modernize the appearance of the Talbot Team Cars including the 15hp by fitting post-War type Talbot radiators and re-modelling the bodies. 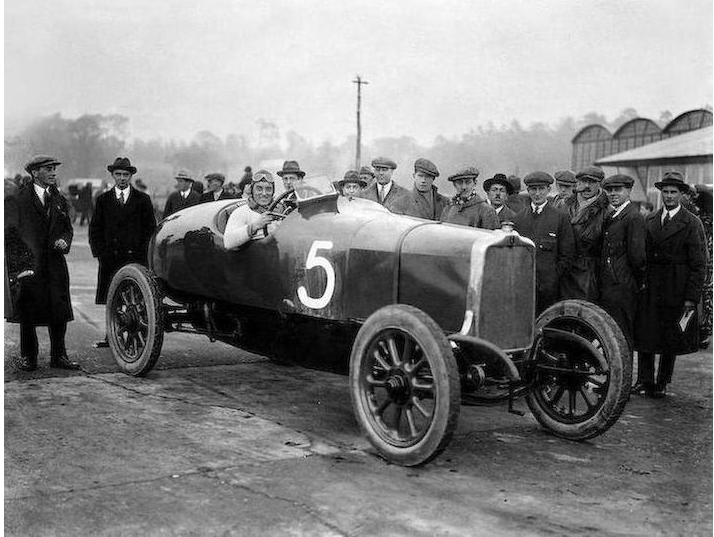 He would later sell a car each to budding motor racing legends Woolf Barnato and Tony Vandervell, whilst using several himself including the 15hp which he raced successfully at Brooklands and elsewhere, winning the Lightning Handicap at Brooklands in October 1922 amongst other successes. He eventually offered this Talbot for sale in late 1922. 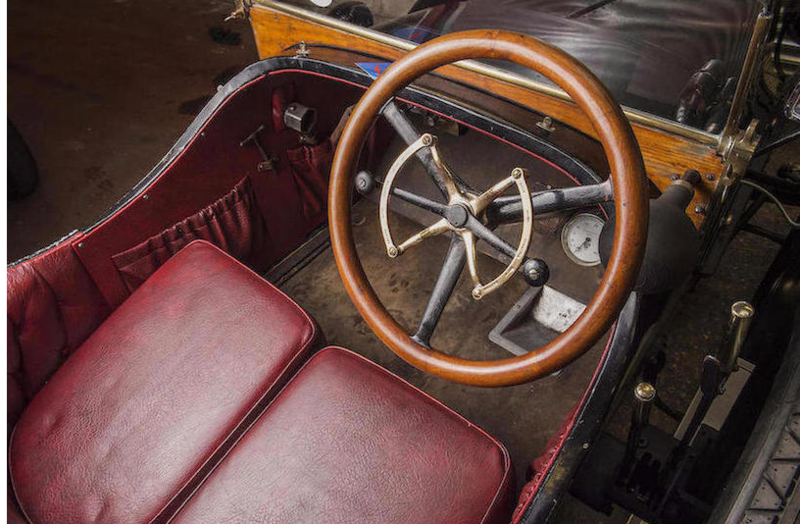 A later owner, respected Australian Edwardian Talbot aficionado, John Hughes – who acquired the car in 1990 - advises us that "...it came to Australia as a second-hand car. It was imported into Brisbane, by the Queensland agent for Talbot cars, the 'Canada Cycle & Motor Agency' of Queen Street, Brisbane. I do not know what style of body was then fitted to it (if any). It was sold to a wealthy wheat and sheep farmer (John Annan), in the Darling Downs agricultural district in south-eastern Queensland. "While driving back home from Brisbane on one occasion, the owner ran off the road, and the car crashed off the edge of an escarpment. I do not know if anyone was injured on this occasion, however the car suffered such serious damage that it was decided that only the engine, gearbox and radiator could be recovered." "By the mid-1960s, the engine, gearbox, and radiator were obtained by a Mr Cyril Horton, of Toowoomba. Cyril set out to find whatever else of the car had survived. He climbed to the wreck site, and he succeeded in retrieving the badly twisted chassis frame, front-axle assembly, dash-board, springs, back-axle, and sundry other components. 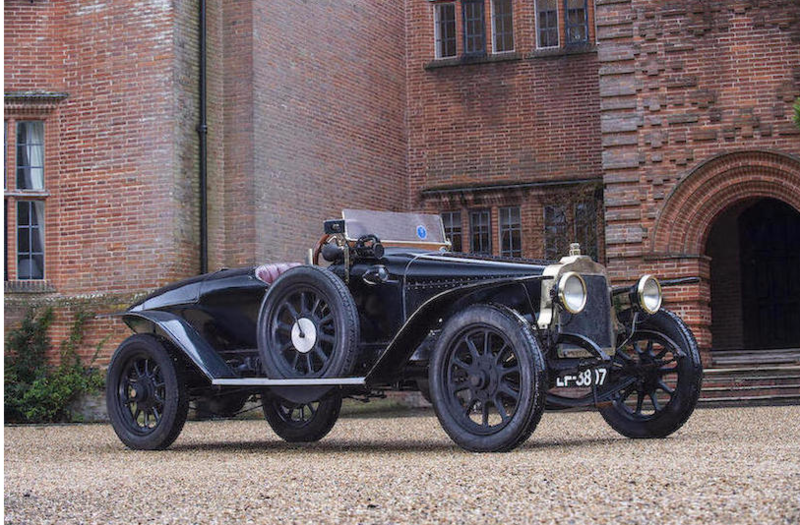 "After twenty-five years of ownership, Cyril had done nothing to restore the old Talbot, and eventually after much persuasion he agreed to sell it to me. "I had the chassis repaired and straightened, like-wise the front-axle assembly, and the gearbox, and I obtained a set of four 880 x 120 wheels. Having no idea of my car's sporting history, I fitted it with a particularly attractive five-seater touring body. "At about this time, I purchased a fairly original Talbot of the same model, and I lost interest in the ex-Toowoomba car. I decided to sell it to Barry Clarke, as he had made me what I considered to be a generous offer for it." 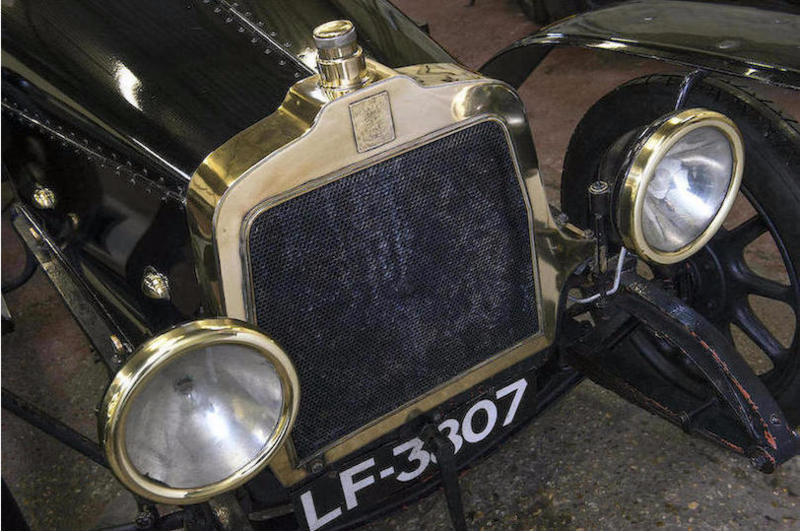 On repatriating the car to the UK and discovering its true significance, the Clarkes made the decision to re-body it as an exact replica of the form in which it had been campaigned so successfully by the Talbot Works Team before the Great War. 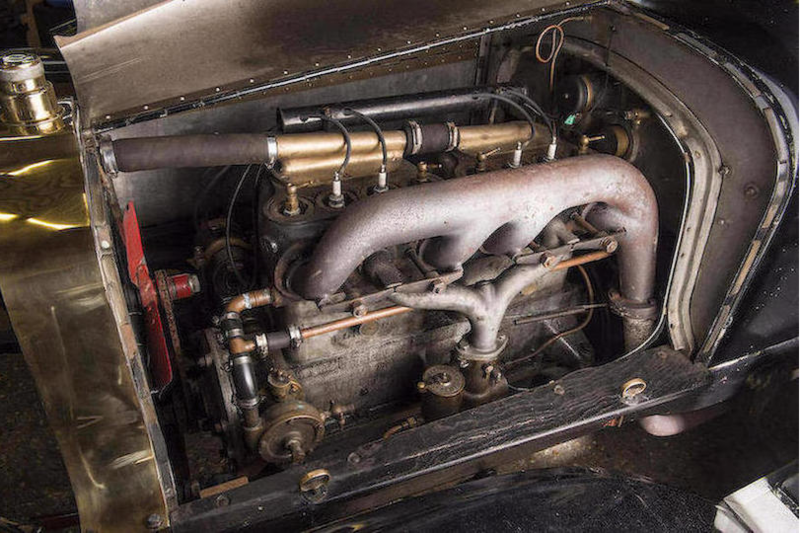 Few Pre-First World War Works racing cars survive.